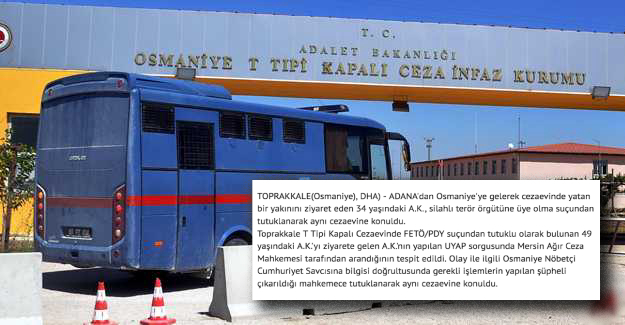 A 34-year-old man, identified only with his initials A.K., has been detained during a visit to his relative in prison, in pre-trial detention over ties to the Gulen movement, media said Thursday. It turns out A.K., himself, had an outstanding arrest warrant, issued by a prosecutor in the neighboring province of Mersin on charges of membership to the movement. Thousands of others are known to be in hiding across Turkey.